The Rural Responder Spotlight features first responder agencies and organizations that serve in small communities around the world. 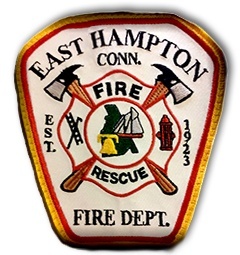 The East Hampton Department, established in 1923, is 100% volunteer and consists of a Fire Headquarters and two additional companies. We have four engines (3 frontline and 1 reserve), two tankers, one each heavy and light rescue, one ladder truck, one squad, one fire police response vehicle, two boats, three forestry units and one forestry tanker. The forestry units are all from converted military trucks. Strategically located in central Connecticut, East Hampton is a gateway of sorts to points east in the state and has three state highways running through town. Our department serves a population of approximately 14,000 people in an area covering 37 square miles. Our call volume is between 350-400 calls annually. We have 80 members, including interior and support firefighters and medically trained personnel, three chief officers (chief, assistant chief and deputy chief), two captains and six lieutenants. With three state highways running through town, this results in a good percentage of responses for motor vehicle accidents that range from minor single vehicle crashes to large multi-vehicle crashes that occasionally involve buses and semi-trucks. 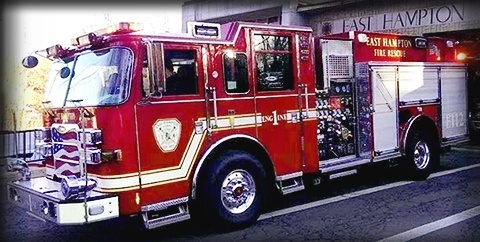 Our calls for service vary widely and may be anything from structure fires to medical assists and everything in between. We also respond to all water emergencies on Lake Pocotopaug, which at 512 acres; is the largest inland body of water in the state. One of our most notable fires was the Bevin Bell Factory fire, which occurred on May 27, 2012, and made international news. Bevin Bell is the only surviving bell manufacturer in the US and has been in the same family for over 180 years. The fire is believed to have been sparked by a lightning strike, resulting in the complete loss of the original building. The fire burned for almost 19 hours and we were assisted by over 300 firefighters from 23 other departments. On a happy note: Bevin Bells moved across the street from its original location and continues to manufacture bells. Bevin bells are used by The Salvation Army, the bell rung in the film “It's a Wonderful Life” was made by Bevin, the NY Stock Exchange bell used to start and finish trading, boxing championships etc. We just took possession of a custom pumper from Pierce, which will serve as our Engine1.